In Questioning Q, gifted and articulate representatives of a new generation of New Testament scholars investigate the problems with the premises, the text and the implication of this elusive document. Their arguments are fresh yet compelling, and the potential ramifications of this volume are massive, not only for study of the synoptic problem, but also for research into the historical Jesus and Christian origins. The Library of New Testament Studies (LNTS), formerly the Journal for the Study of the New Testament Supplement (JSNTS) is a premier book series that offers cutting-edge work for a readership of scholars, teachers in the field of New Testament studies, postgraduate students and advanced undergraduates. All the many and diverse aspects of New Testament study are represented and promoted, including innovative work from historical perspectives, studies using social-scientific and literary theory, and developing theological, cultural and contextual approaches. It is published regularly by T & T Clark International, a world-class religious academic publishing program that is both interdisciplinary and international in scope. 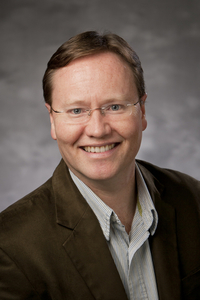 Mark Goodacre was series editor from 2004-2014. Proceed to Articles . . .